Things to do. People to help. Places to go. Thats what I had planned one morning a week ago as I jumped into our 2004 Ford F150. Sadly, it did not want me to do any of those. Balls. Just balls. Instead of meeting my Mom for a Dr. appointment I headed back inside and fired up the Google and YouTube machines. Here’s the deal. I spent about an hour searching for my trucks symptoms and after piecing various posts and videos together I think I found what was wrong. 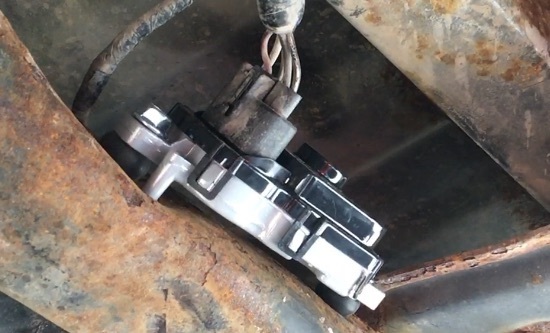 But there wasn’t a great post or video so I decided to share what happened to me in words and a video (at the bottom) together to help a fellow 2004 Ford F150 owner out. Truck turns over to 200 RPM’s but does not turn on. Battery appears to be good. Accessories (Radio) turn on, etc. Not making the “Starter” not working clicking sound. It didn’t need a jump. And everything appeared to be normal. Fluids were fine. I had just driven it 600 miles total the three days prior from my house in the suburbs of Detroit to Boyne Highlands Ski Resort in Northern Michigan and back. Nothing made sense. Combing through various posts and videos the one thing that kept popping up was a Fuel Pump Driver Module. Many posts and videos talked about how these things would crack in half due to being exposed to the elements which in turns exposes the circuit board eventually breaking it. This was a design flaw from Ford back in the day. Each video said they weren’t that hard to locate as they were above the spare tire on the cross rail or frame. After watching a short video on how to lower the spare tire from the truck I was able to locate it and this is what I found. The moment I touched the Fuel Pump Driver Module it fell from the cross rail in two pieces. Damn thing cracked in half and the bolts rusted off. It was hanging by the wires. Here’s what it looked like when I un-hooked it from the wires. Off to O’Reillys I went and thankfully they had the Dorman 590-001 in stock. The same part was $25 cheaper on Amazon but I could not wait three days to get it. So $104 later I was back in my driveway and under the truck. After cleaning up some of the rust on the cross rails I had it hooked up and installed in about 15 minutes. 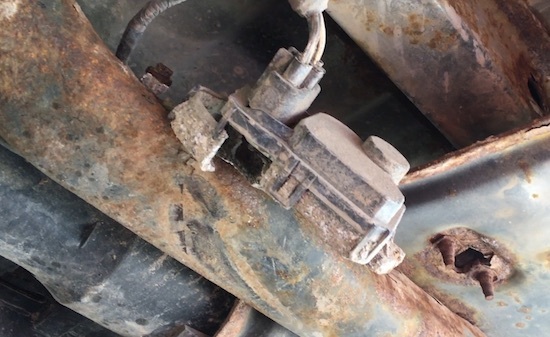 Dorman improved on the design with rubber bumpers lifting the Fuel Pump Driver Module off the cross rails so there would not be metal on metal slowing down corrosion. Got the keys. Jumped into the drivers seat. Reminded John (it was my Dad’s truck and I named it after him) how much I’ve been talking about getting a Tesla because they don’t have things like Fuel Pump Driver Modules, or Fuel Pumps, or for that matter Fuel and it would be much appreciated that when I turned the key that he started. A turn of they key and 5.4L’s of Tritons awoke. I really wanted to end this post on the sentence above but the check engine light did turn on. A trip back to O’Reilly’s to use their free diagnostic tool to get those codes ran showed the computer was not detecting the new Fuel Pump Driver Module and a Camshaft Position Sensor A Circuit was tripped too. I didn’t know how to clear those codes with their diagnostic tool and the truck drove like normal so hopefully they just go away. If not, a call and a trip back to O’Reillys to clear those codes might be in my future.